Carter Malik, wife of Khalid Malik, the United Nations Resident Coordinator in China, is director of Yunnan Mountain Heritage Foundation. She hasn’t wasted a moment of her three-year stay in China. In excerpts below from an exclusive interview with Women of China, Mrs. Malik talks about her passion for Chinese handicrafts, her love for yoga and how beginning a foundation for women in Yunnan Province’s remote Shangri-La region has become the focus of her stay in China. Carter Malik was born in San Francisco, California in the United States, but she considers herself to be “more of an international person than a Californian.” This is abundantly clear, as she describes the various countries in which she has lived and worked. She began her career in Katmandu, Nepal where she had a cottage industry style workshop and a boutique to sell Nepali handicrafts. That was where she met her Pakistani-born husband, Khalid Malik, who was working in the United Nations in Nepal at that time. 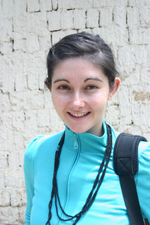 Ms.Malik later worked as a consultant in handicraft development and eco-tourism in Uzbekistan. The Maliks now live in China and Ms. Malik travels across the country on official visits with her husband. Life in China is very busy for Ms. Malik. When asked to reveal something that few people know about her, she says she’s been practicing Yoga for more than 30 years. She even teaches it. Sipping sweet black tea in her United Nations residence in Beijing, Ms. Malik steers the conversation away from herself and on to what she considers to be a more important topic— her new-found project based in Yunnan Province’s Shangri-La. An old Tibetan town in northwestern Yunnan has captured Ms. Malik’s heart. 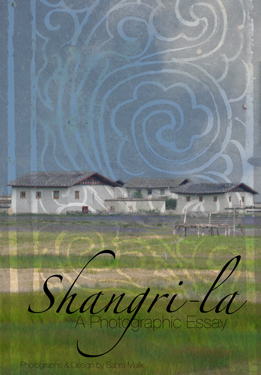 The first time she visited Shangri-La, originally named Zhongdian, was in 2004, when she attended a conference there, with her husband, on eco-tourism and sustainable development. She describes the old town as “immensely charming,” but what really appealed to Ms. Malik was the richly varied local handicrafts. Her love affair with the village began thanks to a chicken curry. “My husband and I were in the old town one day, and we saw and advert for chicken curry in the window of ‘Hazels Bar. '” The curry attracted her Pakistani husband, and they decided to eat there that night. They took their friends and associates with them. “While we were there, someone, brought in a selection of local artwork to show us. They were beautiful,” Ms. Malik remembers. She was immediately impressed, and she wanted to get involved in the development and marketing of the artwork. “My past experiences gave me the tools I thought would be useful. I promised I’d come back and do something,” she said. Villagers in Shangri-La are mainly of Tibetan ethnicity, and they make their living herding yak, growing barley, and collecting a unique mountain mushroom, Matsutaki, which is exported to Japan as a prized gourmet delicacy. They also collect mountain herbs, such as “snow lotus,” which she describes as, “looking like an artichoke with a fuzzy heart.” Ms. Malik hopes that through the work of Yunnan Mountain Heritage Foundation, she can develop projects to help the local economy, and she notes, “Chinese are very forward thinking and proactive.” The locals realize the economy should be developed appropriately. “They are mindful of the right kind of development,” she says. She has secured funding from the Hong Kong Women’s Federation so YMHF can open a Women’s Center in Shangri-La, where local women can gain handicraft skills. Ms. Malik is planning to open a handicraft center, where products can be purchased and marketed. Ms. Malik’s experience in eco-tourism has given her the tools needed to help the local residents develop tourism — without destroying local culture. “The villagers don’t want to lose their identity to an imported, external culture. They want to protect their local practices,” she said. Ms. Malik is a valuable resource, not only due to what she knows, but also who she knows. Due to her many connections, there are now a number of students working as volunteers on projects in Shangri-La, and their findings will help the work of YMHF. Two interns, one from Hong Kong and the other from Toronto, have helped her organize the renovation of an old Tibetan home for the Shangri-La Womens’ Center and the grand opening held in August this year. Several students from Hong Kong Poly Technic University are conducting a baseline survey in the village, to explore the situation in the village and the villagers’ needs. “Some female researchers from Lhasa have found that some women in the village have two husbands. That’s really interesting,” Ms. Malik said. Fifteen students from the United World College in Wales, led by Ms. Malik’s son, went to Shangri-La during the past summer to teach English and participate in cultural exchange projects.